The question of realism is a crucial one for my discussion here, because the films in question not only render the city tangible as an affective terrain of fear, via a careful deployment of cinematic technologies, but also because they resonate with real-life terror attacks that the metropolis has suffered repeatedly in recent decades. The recent cycle of terror attacks on the city began in 1993; following the demolition of the Babri Mosque in Ayodhya by a mob amassed by the Hindu Right, the Muslim underworld responded by executing a series of carefully coordinated bomb blasts in the city. 250 civilians were killed and hundreds injured in this first bout of violence that profoundly damaged Bombay’s image as India’s cosmopolitan capital. Unfortunately, the attacks set a dangerous precedent; since then, cycles of terror attacks have become horrifyingly quotidian in the city: on December 6, 2002, on the 10th anniversary of the Babri Mosque incident, a blast on a bus killed two people and injured many others. In March 2003, a bomb exploded in a train compartment killing 10 people; later that year, two bombs exploded in South Bombay, one near the Gateway of India monument and another at Zaveri Bazar. According to published reports, at least 44 people were killed and over a hundred injured in this attack. In 2006, a series of seven bomb blasts killed hundreds of commuters on suburban trains, over a span of just eleven minutes; the reported casualties were over 200. In 2008, yet another series of attacks were carried out in different tourist and commercial locations in the city, this time killing over 150 people, including some international tourists, several attackers and security personnel. For the purposes of my argument, it is crucial to note the multi-pronged nature of these onslaughts: the terrorists—allegedly belonging to several militant Islamic organizations from India and Pakistan, notably Lashkar-e-Toiba and SIMI—simultaneously carried out operations in several far flung regions of the city. A degree of communicational sophistication and intricate planning attended to the execution of this violence. It is therefore no accident that the cinematic Bombay is now an emblematic habitat of global terrorism. Several recent films, notably Black Friday (dir. 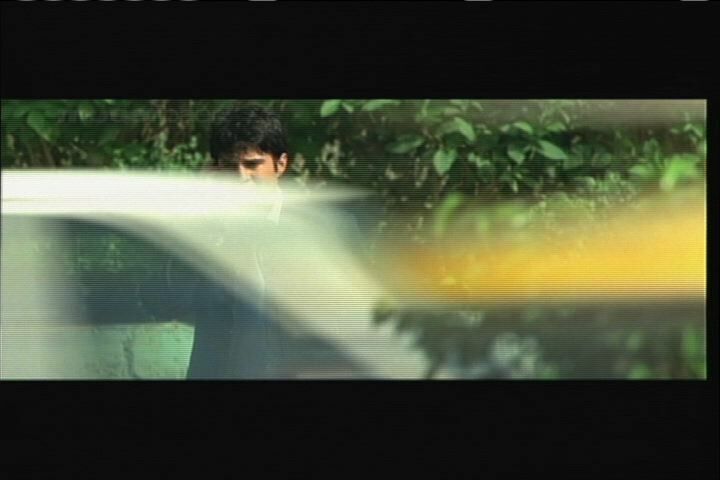 Anurag Kashyap, 2004), Aamir (dir. Raj Kumar Gupta, 2008), A Wednesday (dir. Neeraj Pandey, 2008), Delhi 6 (dir. Rakeysh Omprakash Mehra, 2009), and others envisage the city as a dreadful site of potential carnage where terror networks remain robust—undetected, unchecked and pervading everyday lives and spaces. These films, mostly thrillers, also underscore the competence—both organizational and informatic—that the attackers have demonstrated in recent years. Needless to say, the fear of technological and organizational sophistication harnessed by alleged terrorists has reached new levels after 9/11. The twin vectors of space (Bombay city) and time (following the bomb-blasts in 1993) are important for my analysis here, because the filmic city emerges within a special kind of space-time interface. Throughout the rest of this analysis, I hope to demonstrate precisely the manner in which “Bombay” comes to be figurable, by moving between the spatial and temporal axes of the films in question. The question of realism is especially pertinent to this analysis, because the films I analyze here have been lauded for their “realistic” portrayal of the city and its everyday rhythms. As Moinak Biswas has argued, the city of Hindi cinema has acquired a certain naturalism and density in recent years, especially in the gangster genre, which shares certain key attributes with the films I discuss here: “We are trapped inside the city; the extended initiation in violence makes the character an expert user of the city, whose slums and lanes are choreographed into a performance of shock and survival. What does this mean in terms of film language? Primarily, there is a technical mobilization that seeks to create a rapport between the urban sensorium and the perceptual regime of the film. (In the process, technology itself often rises to the surface as performance).” (online) This, then, is a special kind of realism. Paying particular attention to this “performative” aspect of cinematic technology, in what follows I will investigate exactly what kind of “urban sensorium” is generated in this newer iteration of the thriller—the terrorism film. I will discuss two recent and much discussed films from 2008: Aamir and A Wednesday. Both texts bristle with the dread of attacks on the hapless metropolis, but in markedly different ways: while the eponymous protagonist of Aamir (Rajeev Khandelwal) steps into the fearful city as an unwitting and somewhat naïve outsider, the unnamed hero of A Wednesday (Naseeruddin Shah) eloquently invokes the gruesome attacks that have devastated the city in his final, climactic soliloquy to the commissioner of police. Both films bear the dreadful memory of death and destruction at their affective cores; these are, emphatically, trauma texts, which return repeatedly to the moments of violence. What makes these texts especially interesting for the present inquiry is that they exist in a time warp: while neither film’s diegesis takes place at the moment of the blasts, both imagine the metropolis as a space of potential devastation. The bomb blasts figure in these narratives not simply as the past of the city, but as an always already accessible mode of recall and anticipation—a past that is always present, and a present that moves inexorably towards an inevitable future—another attack. What we have here is a traumatic temporality that has lost all logic of linearity; the city of Bombay exists in the films caught in a dreadful cycle of event, delay and repetition. While the metropolis is rendered extraordinary through the logic of temporal re-organization, its citizens remain defiantly ordinary. In fact, both Aamir and A Wednesday expend significant narrative energy in buttressing the unremarkable lives of its main protagonists. A bewildered Aamir keeps reiterating his status as an ordinary citizen to the disembodied voice on the phone, to no avail. In some ways, however, he is special—and a rare character for Bollywood’s representational matrix—a modern, secular, educated, progressive Muslim. The film chronicles a harrowing day in his life, as the spectral voice on a mobile phone irrevocably changes Aamir’s destiny. Predictably, the voice belongs to the fanatical leader of a terrorist outfit who deploys the hapless hero to plant a bomb in a crowded residential area in the city. Aamir sheds the ordinariness he has desperately clung to at the very end, when, in an uncharacteristic gesture of defiance, he commits suicide to save numerous citizens of Bombay. He becomes at this instance the very opposite of a suicide bomber—the destruction of his body remains singular, isolated and in the terrorist’s scheme of things, completely meaningless. It is this final gesture of courageous self-destruction that bestows on him the mantle of heroism, one he has frantically tried to avoid for the bulk of the film. The voice on the phone (the terrorist mastermind remains nameless and largely faceless) coerces, cajoles and, of course, threatens, just so Aamir would understand the profound significance of his name—the word ‘Aamir’ refers to ‘leader’ in Arabic. Ironically, it is by rejecting the mantle of leadership of the Islamic brotherhood that Aamir becomes a hero in death. The protagonist of A Wednesday—nameless, because names carry the marker of religion in South Asia—straddles the ordinary-extraordinary dialectic in a different manner. The post-prologue sequence offers a typical montage of the cityscape: bustling shots of the metropolis, gargantuan traffic jams, hurrying crowds, train stations and trains crammed full of people, citizens scurrying to reach workplaces on time. Amidst this city in motion, we see our protagonist apparently hurrying in tandem. However, the film denotes his extraordinariness by isolating him in vibrant color, while the rest of the city is bleached out, seemingly drained of all hues. Bombay appears largely gray and shrouded in smog in A Wednesday, a city that conceals and harbors unseen threats at every moment. While singled out for our attention, he remains emphatically ordinary in other ways—clearly middle class with no specific facial or bodily characteristic, he easily blends in as one in a crowd of millions. (see fig. 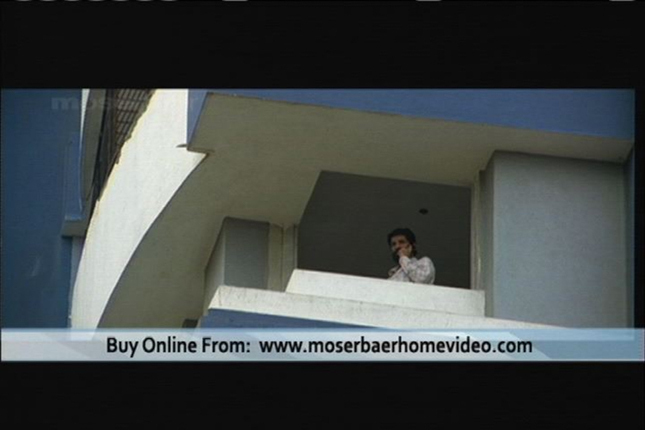 1) His ordinariness, for example, is also signposted through a phone conversation in which his wife reminds him to pick up groceries on his way home; this scene remains a surplus within the film’s stringent narrative economy, but functions as a scaffold to the protagonist’s married, bourgeois and conventional profile. The extraordinary strength and willpower of this man becomes clear only a few minutes later when he brings the entire law and order machinery of the city to a shuddering halt. This protagonist—older, unarmed, middle-class and clearly educated—forces the police commissioner as well as the administrative officials of the state to deliver four very specific terrorists—involved in the attacks on the city in 1992-93, 2006, etc.—to a deserted aviation base, and then assassinate them en masse. His bargaining chip is his assertion of having planted five bombs in five different city locations; he simply threatens to detonate these if the state refuses to accede to his demands. The narrative is, thus, a monumental confrontation between the state—represented here by the beleaguered law enforcement machinery—and the citizen, now in the garb of a vigilante seeker of justice. Initially thought to be the leader of a sophisticated terror network—Al Qaeda is mentioned several times—he turns out to be an ordinary citizen of Bombay, but one bent on meting a particular kind of justice on the criminals in question. In accomplishing this astonishing task, he deploys the popular news media as well as an extraordinary range of electronic gadgets that he has amassed on the rooftop of a deserted, half-finished skyscraper, one among many available in the building boom of the city’s suburbs. 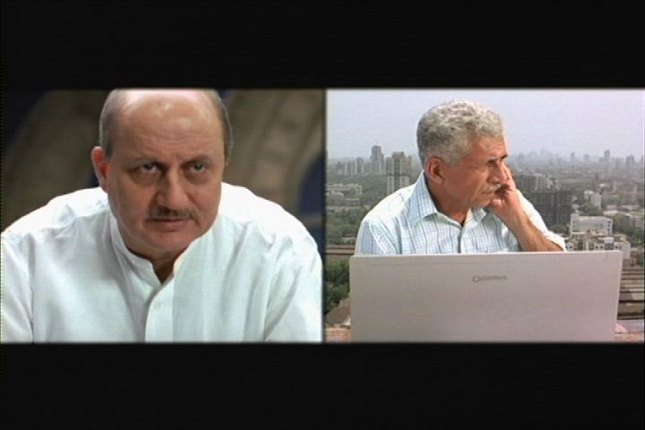 In his final telephone call to the commissioner of police, Rathod (Anupam Kher), he invokes this ordinary-extraordinary dialectic himself: he states that he is a “stupid common man,” the kind who is routinely killed in the terrorist attacks on the city and justice is either delayed or simply not forthcoming. Voicing the collective frustration of millions of citizens of Bombay, he declares, “people are angry, don’t try us. We are resilient by force, not choice.” In explaining his actions of the day, he says he is merely “cleaning house” of the pests that infest it—the metaphor of home and pestilence remain compelling indictments of the administration’s apparent inability to either stop the successive waves of attacks on Bombay or to bring the criminals to justice in a timely fashion. At Rathod’s persistent questioning, he also reveals that it is ridiculously easy to both gather the raw materials and to make bombs—instructions are easily available on the internet—once again buttressing the failure of the law and order apparatus to eradicate the threat of terror attacks in any meaningful way. The central tool of narrative progression in A Wednesday is conversation—a series of them between Rathod and our unnamed protagonist. In the final climactic chat, he informs the astounded commissioner that he interprets the series of terrorist attacks on Bombay as questions, mocking gauntlets that the terrorists have thrown down against the hapless citizenry. These were posed on Tuesday, and he is simply responding to them on a Wednesday. The panoramic interiors of the family films combine design techniques with architectural space to create a “virtual city” where the “global” family can reinvent “Indianness” and modernity. In this scenario, the space of the Bombay street, the chawl, the train, and the crowds, which were always central to the narratives of popular cinema, are consistently marginalized. In contrast, the films of the new gangster genre conduct an elaborate exploration of urban space. The dark alleys, crowded streets, the slums, the peeling walls, and the claustrophobic chawls are all on display. Unlike the family films, where public city space is erased, the underworld films negotiate the city through a hyper-real mode that relies on a combination of violence, technology, masculinity, and urban space (402). Mazumdar, thus, situates Bollywood’s “spectacular global city” in opposition to what she calls the city of “spatial disenchantment” (426), as navigated by the urban gangster genre. Pushing her argument further, I would like to ask, what happens when the dark, sinister, dystopic city is simultaneously rendered spectacular through film style? Both Aamir and A Wednesday conjure up the city of Bombay as a terrain of danger, dread and potential destruction. This affective, hyper-metropolis comes to be figurable through the extensive use of cinematic technologies and stylistic tools, particularly via a careful orchestration of mise-en-scene, cinematography and editing. In A Wednesday, we are shown three separate, discrete loci of action—the protagonist’s perch on the rooftop, the central ‘war room’ of the police high commission and the disparate spaces of the city that the policemen traverse in their hunt for the nameless/faceless caller. The three locational clusters do not overlap but are constantly brought together through the logic of temporal simultaneity; the cinematography and editing styles of the film insistently juxtapose these spaces in order to amplify the mounting sense of urgency experienced by the law enforcement authorities. The primary stylistic techniques deployed here are cross-cutting and the use of split screen imagery, both of which enable the spaces to be tied together in an inexorable feedback loop: what happens on the rooftop affects the war room, which affects the battery of policemen combing the city, which is then relayed to the protagonist on the rooftop. Telephone conversations between Rathod and the protagonist are often presented via the split screen—a device that enables us to observe the expressions and reactions of both men simultaneously, and to read the film as a contest of wills between opponents who are equally matched. (see fig. 2). The split screen also generates a hyper-location of the spectator: a terrain of visibility made possible only through the virtuoso use of technology—both cinematic and communicational. As Ravi Vasudevan has suggested, “such a hyper-location, braiding the spectators into spaces that are differentiated, draws upon the omniscient conventions of classical narration. Separated spaces can be figured as adjacent, as collapsing into each other, and as rapidly negotiable, via that key apparatus of contemporary communication, the mobile phone” (66). As the clock ticks inexorably toward the deadline set by the protagonist, the operations of the police get even more frenzied. One of the most memorable cross-cut sequences in A Wednesday features at least three parallel lines of action: policemen Arif (Jimmy Shergill) and Jay (Aamir Bashir) travel to the aviation base with four terrorists while a sketch artist tries frantically to generate a facial profile of the caller, meanwhile, elevated far above all this action atop the skyscraper, the protagonist calmly surveys the city while drinking a beverage. His stillness and assurance are carefully juxtaposed against the desperate activities he has engendered in the besieged metropolis far below; a series of rapid shots, the pace of editing, and the pulsing music on the soundtrack underscore the urgency of the situation. The city, thus invoked, is a space of pervasive danger, chaos and potential catastrophe. Aamir foregrounds the city of dread through somewhat different means, primarily because in this film the protagonist is immersed in the urban sensorium in a way that our vigilante from A Wednesday was not. 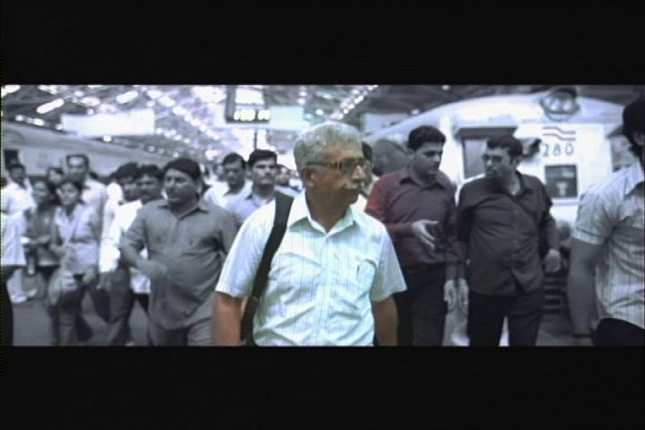 As soon as Aamir steps out of the airport, the city confronts him with all its noise, crowds and chaos. Soon after, he realizes that he and his family are in deep peril, ensnared in a web of violence, intrigue and criminal conspiracy that he can barely comprehend, let alone control. Although Aamir claims to be a native of Bombay, the city remains radical in its otherness—Bombay does not welcome him home; it constellates as a deeply threatening mélange of dense urban spaces that disturb, disorient and terrorize the hero. Aamir does not simply arrive in Bombay, he encounters it. Here again, the question of the affective generation of the filmic metropolis is of critical significance, if we understand the term as “persistent proof of a body’s never less than ongoing immersion in and among the world’s obstinacies and rhythms, its refusals as much as its invitations. Affect is in many ways synonymous with force or forces of encounter” (Gregg and Seigworth 2-3; emphasis in original) The body’s capacity for action is also of consequence in this regard. Also crucial in amplifying Aamir’s acute out-of-place-ness are the locations he is asked to traverse during his day-long ordeal. The neighborhoods of Dongri and Bhindi Bazar are hardly spaces regularly explored by Bollywood cinema; these are poor, extremely crowded, largely Muslim suburbs of the city that the film thrusts at us as spectacular counterpoints to the more familiar Bombay landmarks: the Gateway of India, Marine Drive and Victoria Terminus. Spectators echo Aamir’s bewilderment and desperation, as he tries to navigate the treacherous, unfamiliar terrains of the city’s underbelly: he is hopelessly lost in the warren of sprawling slums, dirty, narrow lanes and alleys, grimy, derelict exteriors and interiors, and, most importantly, amidst suffocating crowds of jostling strangers. Bombay appears as a labyrinthine maze of dark, dismal, decaying spaces that wait in anticipation to ensnare Aamir within them. These spaces resonate with what Freud called unheimlich—the uncanny, diametrically opposed to all that can be considered familiar and the homely. Aamir sticks out like the proverbial sore thumb in this landscape of urban “ruin” (Mazumdar 424), first because he is dressed in an expensive suit in jarring contrast with the poverty and squalor surrounding him, but more crucially because he is emphatically a stranger in this topos of the city as a space of danger and disenchantment. The editing of Aamir compellingly underscores his status as an outsider. 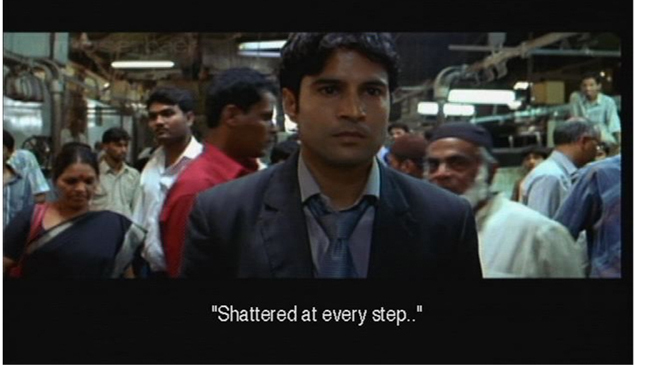 In multiple sequences—for example, especially provocatively in the scene where he walks through the meat market—wide shots of the hero trapped amidst crowds hurrying through the city are rapidly juxtaposed against big close ups of faces, presumably observing his every move from the vicinity. We are never given a spatial context for these faces, most of which look watchful, sinister, sentient; we never know how close or far away these disembodied people are from Aamir, amplifying our sense of disorientation and dislocation. (see figs. 4, 5 and 6). The point-of-view mobile shots ensure that when these faces look at him, they also look at us. Some sequences juxtapose slow motion shots of crowds, faces and feet; masses of unfamiliar bodies push, shove and jostle Aamir as he desperately hurries to do the bhai’s bidding. The sporadic use of a hand-held camera also underscores our sense of participation in this sequence. In a radical revision of Bollywood’s typical representations of good-hearted, plebian city-folk, the pressing multitude never offers comfort or succor to the hero; the crowds remain inscrutable, apparently either hostile or simply indifferent, and, oppressively close, heightening Aamir’s acute sense of being claustrophobically hemmed in. And, the sense of ever-present threat is always overwhelming amidst crowds, especially because the press of unruly, chaotic bodies also includes the bhai’s minions and agents, ensuring his constant omniscience. The dreadful city in both A Wednesday and Aamir is also, foundationally, a city of surveillance. 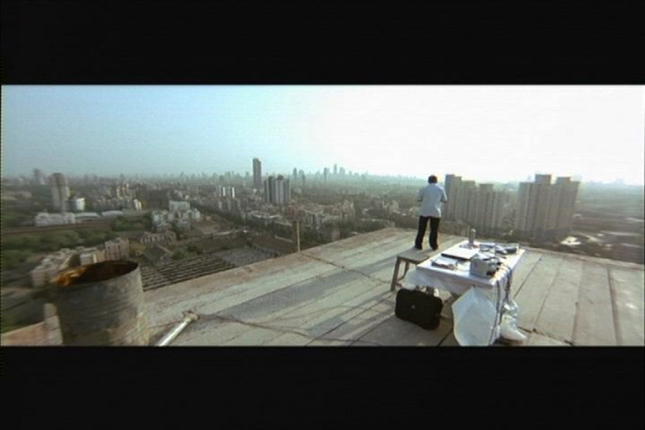 Each film envisages Bombay via distinct and varied regimes of visibility: in the former, the protagonist surveys the city, unseen, from his rooftop perch, in the latter Aamir is always under scrutiny by visible and invisible eyes. Both texts also foreground modern communication devices, most ubiquitously the mobile phone which connects disparate spaces and actors in the drama of suspense and violence. Following Michel Foucault’s (1977) seminal elaboration of Jeremy Bentham’s 1785 disciplinary model of the Panopticon, the trope has come to be pervasive in the field of surveillance studies. In spite of its limited purchase in engaging with the mind-boggling array of data gathering technologies used currently by statist authorities and corporations, the panoptical model is in fact quite resonant with the manner in which A Wednesday maps the city of Bombay as a series of visible and invisible zones of access and control. First, the film simultaneously fetishizes latest technological devices and renders them everyday. The “stupid common man” has amassed a vast array of computerized and network devices on the rooftop and, as mentioned above, he calmly informs Rathod that in the era of the internet, it is ridiculously simple to access technologies of violence. (see fig. 7) Once again, we are confronted by the dialectics of ordinariness/extraordinariness of the vigilante citizen, and, the same dialectic informs the film’s representation of informational technology and its relationship to potential violence. If a “common man” can create and detonate a dozen bombs across Bombay, then the law enforcement apparatus is rendered completely impotent in the current era of pervasive electronic competence. The age of information is both abilifying and debilitating; informational regimes can just as easily be deployed to plan and execute violence as to prevent it. In Bombay—the city besieged by terror—the former has historically triumphed over the latter. A Wednesday also underscores this discrepancy in terms technological/informational competence between the state and the vigilante/terrorist. If terror indeed thrives on information, of which it must deprive the victim, the deceptive “stupid common man” garners news through Naina Roy’s news channel and dodges the police’s attempts to track down his location by switching SIM cards and using re-routed mobile phones. He sees the city through television, he does not seek his enemies on the streets of the city. His ensuing telephonic duel with the commissioner begins to resemble Paul Virilo’s conceptualization of international warfare as an “optical confrontation” which involves “seeing,” “forseeing” and “not being able to see”, and “where winning is trying to keep the enemy in constant sight” (244). The state’s relative incompetence in terms of informational technologies—although we also witness urgent counter-surveillance attempts in the war room and the use of a hacker—is also conveyed through the vigilante’s splendid, singular stillness, starkly in contrast with a “series of fast paced, sharply edited shots of the commissioner pacing the police station, directing his officers over the phone as they frantically try to detect bombs in crowded malls and train stations” (Mukherjee 244). As mentioned above, the technique of cross-cutting enables the audience not only to witness parallel lines of action occurring simultaneously, but also to appreciate the vastly different affective domains occupied by the state and the protagonist. Aamir imagines the dreadful metropolis through an economy of visibility that can be understood in exact opposition of the panoptical model of A Wednesday. Here, the many seen and unseen eyes surveil the one beleaguered hero Aamir—a reverse configuration that Thomas Mathiesen has famously called the Synopticon (1997). Aamir charts the spaces of Bombay not only through cartographies of surveillance but also renders it completely paranoid. Notably, for Freud (2003), paranoia is a pathological state intimately connected to the fear of being looked at. Aamir’s terror escalates not only as he understands the nature of the scrutiny he is under—an entire city is operating as a well-coordinated machine, the omniscient eyes and ears of the Big Brother—but also because his life has been reduced to a data mine already available to the terror network. The bhai calmly recounts every detail of Aamir’s existence to him, reinforcing the power of surveillance and data gathering as a process that has begun even before the film commences. Because it uses surveillance as narrative content, Aamir can be understood as a film about regimes of visibility. Dozens of high-angle shots in which we see Aamir meandering through crowded lanes and mohallas (neighborhoods) render him dwarfed and vulnerable, but strictly visible at all times; these bird’s-eye shots are not necessarily attributed to specific observers, they remain free floating point-of-view shots without a specific viewing subject—a technique that reinforces the impression of the entire city as a terrifying scopic regime. Potentially every shot of Aamir negotiating the city-maze could be a carefully truncated point-of-view shot, a technique that makes every scene watchful, sentient. Occasionally, we share Aamir’s fearful gaze as he looks around him, watches faces that press in on all sides, and, people standing in balconies and windows of the derelict buildings that tower over him (see fig. 10). The editing underscores this paranoid relationship to the city as quick cuts give us brief, disembodied glimpses of faces that may or may not belong to the bhai’s many ‘informers.’ The ever-present mobile phone—in the film’s visual universe almost everyone constantly speaks into these—also creates a domain of surveillance and the constant transmission of information; whatever Aamir does, whether he complies or disobeys the spectral commands, is instantly conveyed to the bhai (see fig. 11). The city and the citizens—all of whom in this paranoid framework become by default the bhai’s minions—function as a networked totality: a web of information that surrounds Aamir and holds him enmeshed in its invisible embrace. The bhai, thus, rules over the city through his control of visual/aural terrains; his absolute authority is ensured by absolute scrutiny. Hindi popular cinema’s romance with the city of Bombay has undergone several distinct iterations; through all the phases however, the city has always offered spaces of redemption and rehabilitation—spaces of respite, sanctuary and solace for filmic protagonists. After a series of terror attacks in recent decades and following massive transformations in the socio-economic and political spheres in India, the city is no longer figurable only as a liberating space of modernity and globality. Recent Bollywood cinema now interrogates its relationship with India’s most iconic metropolis through narratives of death, destruction and actual or potential catastrophe. Films such as Aamir and A Wednesday, among many others, provide us with a privileged point of entry into the cinematic metropolis as constitutively and foundationally transformed by a new era of globalization and terrorism. Bombay—once the beloved metropolis of Bombay cinema, the site where the dreams of the nation were most compellingly articulated, where dreams could sometimes be realized—has come to stand in for failure of the modern state in India. Bombay has become a dreadful, dystopic, cinematic nightmare—a metropolitan ruin. —.“Mourning and Blood Ties: Macbeth in Mumbai. In Journal of Moving Image.” (5) 2006. Web. 2012.<doi: http://www.jmionline.org/film_journal/jmi_05/article_04.php>. Deleuze, Gilles. “Postscript on the Societies of Control”. In October (59) Winter 1992. 3-7. Print. Foucault, Michel. Discipline and Punish: The Birth of the Prison. New York: Vintage, 1977. Print. Freud, Sigmund. The Uncanny. New York: Penguin Classics, 2003. Print. Haggerty and Ericson, eds. The New Politics of Surveillance and Visibility. Toronto: University of Toronto Press, 2006. 35-54. Print. Massumi, Brian. “The Future Birth of the Affective Fact: The Political Ontology of Threat.” In Gregg and Seigworth, eds. The Affect Theory Reader. Durham: Duke University Press, 2010. 52-70. Print. Mathiesen, Thomas.” The Viewer Society: Michel Foucault’s ‘Panopticon’ Revisited.” In Theoretical Criminology 1 (2) (1997). 215-34. Print. Mazumdar, Rnajani. “Spectacle and Death in the City of Bombay Cinema.” Prakash and Kruse (Eds. ), The Spaces of the Modern City: Imaginaries, Politics, and Everyday Life Princeton: Princeton University Press, 2008. 401-432. Print. 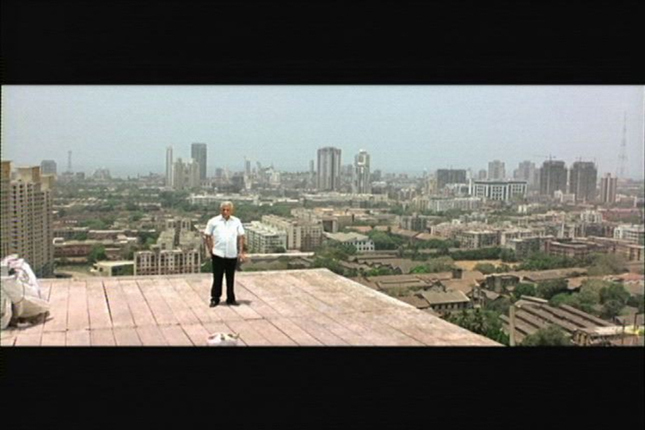 Mehta, S. Maximum City: Bombay Lost and Found. New York: Vintage Books, 2005. Print. Mukherjee, Rahul. “A Reply To Terrorism on a Wednesday: A Citizen Vigilante’s Prescriptions for Governing Terrorism.” In Sarai Reader 08: Fear. Delhi: CSDS, 2005. 242-247 Print..
Prasad, M. “Realism and Fantasy in Representations of Metropolitan Life in Indian Cinema.” Kaarsholm, ed. City Flicks: Indian Cinema and the Urban Experience. (pp. 83-99). Kolkata: Seagull Books. Print. Seigworth, Gregory and Gregg, Melissa. “An Inventory of Shimmers.” Gregg and Seigworth, (.” eds. The Affect Theory Reader. Durham: Duke University Press, 2010. 1-25. Print. Tanvir, Kuhu. “Myth, Legend, Conspiracy: Urban Terror in Aamir and Delhi 6.” In Sarai Reader 08: Fear. Delhi: CSDS, 2008. 248-253. Print. Vasudevan, Ravi. “The Exhilaration of Dread: Genre, Narrative Form and Film Style in Contemporary Urban Action Films.” In Sarai Reader 02: The Cities of Everyday Life. (Delhi: CSDS, 2002. 58-67. Print. Rahul Mukherjee has noted that ironically, bomb blasts accompanied the release of A Wednesday in several cities across India (243). While this history of violence informs the films’ temporal imagination of Bombay, the plots adhere to strict deadlines; both films feature multiple lines of action which move in a linear fashion toward the climax. The plots remain faithful to the clock, the rendition of the city as an affective domain does not. In other words, here I am making a crucial distinction between plot-time—which operate under unyielding deadlines in each case—and the temporal figuration of the city of Bombay. What we have here is an excellent example of what has been called “haptic visuality” in recent media theories—a way of viewing that engages multiple senses. Aamir’s images constantly challenge the spectator to mobilize our senses—to see, touch and smell the nightmarish world that Aamir finds himself trapped within. Kuhu Tanvir also comments on the film’s lack of domestic spaces and homeliness: “Aamir is the only upper-class moderate Muslim the film has, and it is therefore worth noting that his private space is not shown almost at all, except for one short, imagined scene when he recalls calling home and speaking to his family. When compared to the way in which other, public, apparently non-secular spaces are mapped in the film, this scene, which is barely a few seconds long, can be easily forgotten (249). 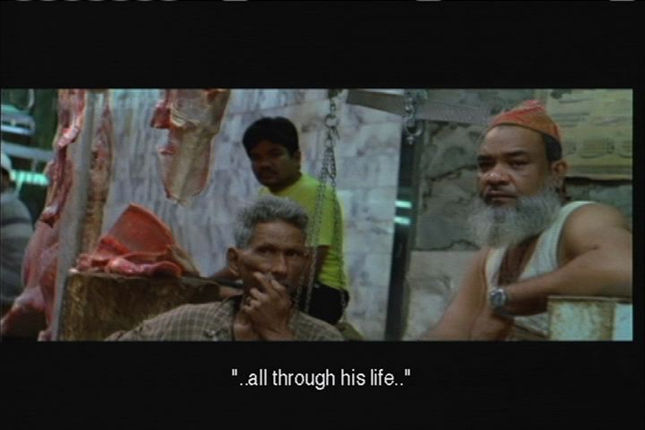 Aamir’s return with the red suitcase through the slaughterhouse is also shot with the foreboding song, “Haara Haara” pulsing on the soundtrack, enforcing Aamir’s acute sense of entrapment. Gilles Deleuze’s conceptualization of “societies of control” offers another valuable framework for understanding the imprecise, flexible and occluded nature of power in films like Aamir and A Wednesday. According to Deleuze, we have now moved from what Foucault’s calls disciplinary societies—where laws are represented by the enclosed and confined spaces of the prison, factory, hospital, etc.—to a more open, dispersed and free floating form of control in late capitalism, that is no less unforgiving. Under the aegis of the global market control is “continuous and without limit” while the individual is merely a “dividual”— “undulatory, in orbit, in a continuous network” (6). Two aspects of Deleuze’s argument are especially pertinent to the present discussion—the simultaneous ubiquity and dispersive nature of power, and, the impossibility of dodging its constantly mutating operations. The pervasive nature of control is tellingly apparent in, for example, Aamir’s futile attempt to slip past the network of mobile phones that constitutes the informatic straightjacket of the city. It is of little consequence in this respect if the state surveils the individual or non-state actors. In the current media ecology, the individual is always strictly within network.